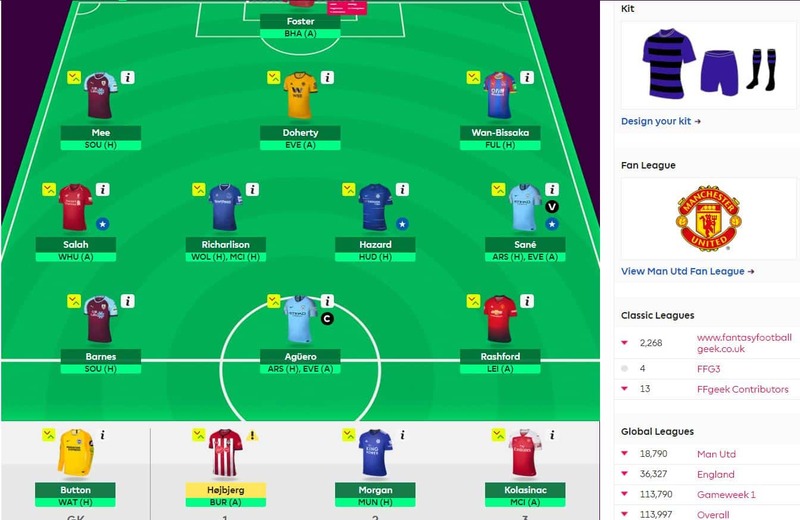 I wrote in a load of detail about GW24 among other things in my early FFGeek team article if you want more info but here I’m going to be brief. A bad week with a 12k red arrow when virtually every other manager got greens. An OR drop to 113k OR. 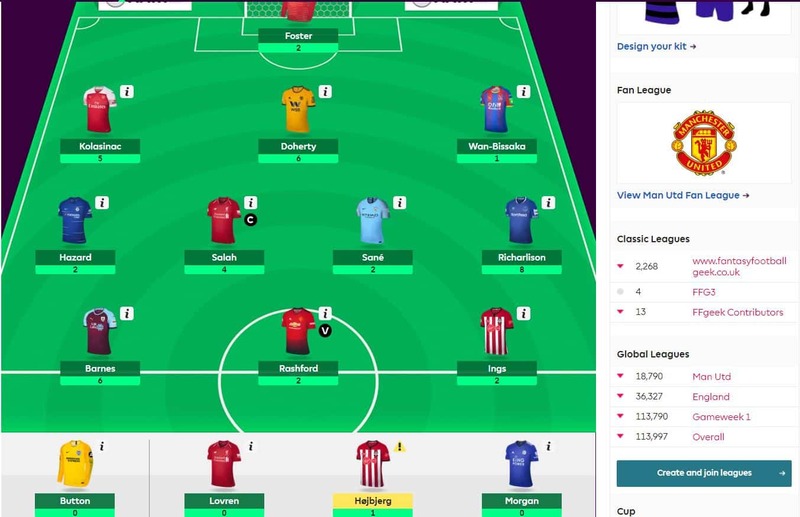 It could have been alot worse as at the end of Wednesdays games I was 132k OR and Lovren not playing meant I was saved by Barnes’ 6 points off my FPL bench. It was another week where again the template did me over big time especially Hazard vs Aubameyang and my differentials didn’t help me out. With Aguero being a strong captain favourite and on a double gameweek he is the natural transfer to go for. Much as I like Ings I’m selling Ings instead of Barnes principally as Barnes has a guaranteed GW31 fixture and has been in good form lately. Ings I like but his underlying stats have stuttered. Then the question is how to fund the £0.3m. There’s no option to get rid of Hojbjerg and of the 5 teams guaranteed to have a blank GW31/33 Burnley have the best fixtures. Burnely’s defence has also improved and in the 4 games before Man Utd they didn’t have an xG conceded of over 1 goal. Lovren is my target to fund it having missed out on starting vs Leicester. I would probably give him 1 more week given that Gomez is out for a few weeks but it doesn’t get me to GW31 which is what I need. The same could be said for Morgan who lost his place to Evans but he’s less of a funding option and given Puels unpredictability and rotation love could get his place back. My preference would be Tarkowski at £4.7m. However that doesn’t fund it. Next I would prefer Ben Mee but again at £4.6m that gives me no latitude to do the next transfer of Aguero out and Aubameyang in for 3 good fixtures. It seems tonight that Aubameyang is going down and Aguero up in price though so I could chance it but it may force me into an early transfer next week. 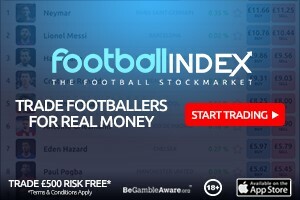 However Mee seems a more secure prospect so I’m going to chance it and keep an eye on the excellent price change site FPL statistics next week. Couldn’t be more straightforward with Kolasinac playing Manchester City and Morgan home to Man Utd and with Hojbjerg being a regular bench warmer anyway. I know game time is risky but can’t see another opportunity to use triple captain while fitting in a WC and BB. To see 2 Burnley players in your starting 11 Geek is giving me anxiety . Ouch! Why would you get a Burnley defender for GW27 when they play Spurs? i guess you need a defender for this GW. Hey Geek, why not Duffy or Dunk given their great fixtures? For the BGW you can easily bench him for 1 week surely? Question is how do I fit Aguero in? I’m languishing at 286k after a series of terrible GWs, and there’s hardly more to lose. Is it completely insane to go for -8 with Aguero, Son, Puncheon, Tarkowski in for Kamara, Hazard, Martial and Digne? Yeah I’d keep hazard for one more week. Pretty disappointing not to see any analysis on whether to use the TC chip this gameweek Geek I have to say. Rob, the about of work that he puts into the site every week is truly amazing , reckons a bit of slack should be given pal, especially with midweek fixtures this week aswell!!! Rob… there was some analysis done by Geek on it. How much analysis do you need? A whole article devoted to it? That would seem overkill to me. I am not sure, I think an article would have been good rather than an ‘im just not going for it’ at the end of this article. His other analysis only earmarked the TC chip to be used for DGW25 and no other contingency. So what is the thinking now? We’ve no idea.